Raluca Ursu joined New York University Stern School of Business as an Assistant Professor of Marketing in July 2016. Professor Ursu’s research interests focus on the areas of industrial organization, quantitative marketing and consumer search, with an emphasis on online markets. Her research tries to understand how consumers gather information about products and make choices in online markets where they are faced with an overwhelming number of product options. 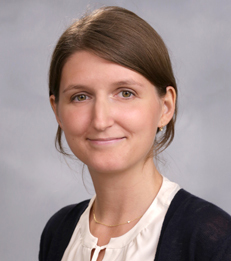 In particular, Professor Ursu studies the effect of ranked lists of products, or rankings, on consumer choices, as well as proposes methods of improving these rankings to allow consumers to find matching products more quickly. Her empirical work is guided by rigorous economic theory and supplemented by large data sets capturing real-world consumer behavior. Her current methodology uses structural estimation methods to quantify the key factors that drive consumer choices and to make predictions about their decisions under changing market conditions. She received her B.A. in Economics and Mathematics from Mount Holyoke College and her M.A. and Ph.D. in Economics from the University of Chicago.